Betway is regarded as one of the leading providers of sports betting and casino services. Its casino section is powered by Microgaming and offers a vast collection of slots, table games and live dealer options. Of course, sports betting activities are also at punters’ disposal as well as bingo and poker section. Betway is an award-winning casino, focused on providing its players with as many functionalities as possible. Regardless of the game you prefer, you will be kept on the edge of your seat for quite some time, not to mention that every player qualifies for a bonus. Below, you will find detailed information about the Poker Loyalty Club every poker player joins upon setting up a Betway account. Every Betway member joins the Poker Loyalty club along with the chance to get rewards as well as personal recognition while doing what they enjoy most – playing the most widespread poker variations and winning solid amounts of money. 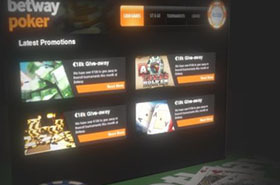 As soon as you start playing poker at Betway, you will automatically join the loyalty club. The more you play, the more you earn, the faster you gain levels. There are five levels – Blue, Bronze, Silver, Gold and Black, respectively. The more you play, the quicker you will advance through the levels. You can keep track of your Points balance as well as the required number of points you have to achieve before moving to the next level. The more levels you gain, the more Monthly Maintenance Points you will need. They are needed for maintaining your current status. If you fail in accumulating a certain number of points during the month, you are moved one level down. You generate 10 points for every $1 generated in cash rake. The Poker Loyalty points are the combination between Tier Points and Bonus Points. The Tier points depend on the Poker Points you earn and these have an impact on your Tier level although the Bonus Plus Points have the same value. You can redeem the Tier Loyalty Points for tournament buy-ins and cash. You are advised to log into your Betway Poker account on regular basis so you don’t miss the Bonus Loyalty Points you can earn during promotions. Your points expire if your account is inactive for a 6-month period. In case you would like to redeem your Poker Loyalty Points for cash, you need to check how many loyalty points you need for a $10 redemption. You have non-cashable points that can be used for buy-in tournaments. You can redeem only Cashable Points. 1 poker loyalty point is equal to US$0.01 or the equivalent in another currency. You have to be informed that you can accumulate Plus Points only by taking part in real play cash tables and tournaments. If you log in as a guest, you don’t receive loyalty points. There are a few other exceptions you have to be familiar with. First of all, you don’t get loyalty points for playing a cash game at €0.01/€0.02 levels. 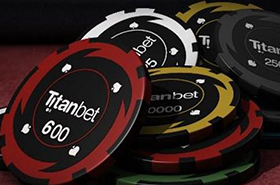 The same applies to the situations when players participate in tournaments where tokens from another tournaments have been used for a buy-in or entrance fee. You cannot transfer your points to another account. They can be redeemed only by the player who has earned them within the agreed period. Copyright © 2019 Bonus Insider. All Rights Reserved.